According to Dr. John Gottman’s research, partners who consistently recognize and turn towards each other’s bids tend to be happiest. A sigh, a smile, a touch, a simple question about your day. According to Gottman’s research, partners who consistently recognize and turn towards each other’s bids tend to be happiest and the least likely to divorce. San Francisco dating coach Logan Ury learned the hard way just how important it is to recognize these subtle bids for affection. For a long time, Ury was ignoring her boyfriend Scott’s bids without realizing it. “We were still spending time together, but I wasn’t being attentive and I wasn’t making bids or accepting bids, I wasn’t turning towards bids, and that was something that I really needed to work on,” Ury tells NBC News BETTER. When Scott came home from work, Ury didn’t always greet him with enthusiasm. When he asked “How was your day?” she’d answer without looking away from her laptop. And when they ate meals together, she was always on her phone. In hindsight, she says she was preoccupied with her business and neglecting the relationship. One night in June, they went out to eat together. Scott, who works in artificial intelligence, complained that she never asked him about his job. He told her how his team was working to improve mammograms to better detect breast cancer. She realized, for the first time, that she knew little about his work and how important it was. “That was the first time that I really realized that, wow, actually, I needed to change a lot, and the way that I can change is by being a more present partner,” she says. 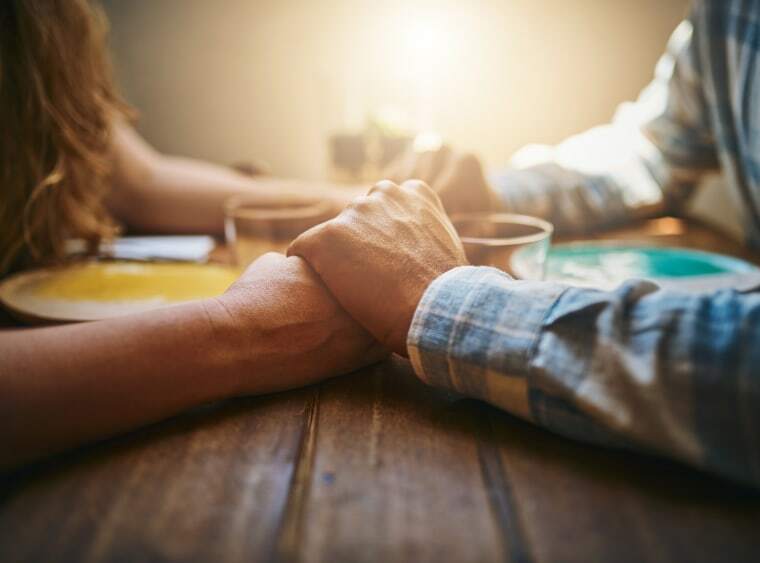 When a loved one makes a bid to connect with us we have an opportunity to turn away or towards it, and our partners keep a mental repository of how we respond to them, according to Gottman’s findings. But a partner’s bids can be subtle because they fear we will reject them, says Ury, a contributor for The Gottman Institute. But many of us, consumed with work, stress, and social media, reject or ignore our partner’s bids, often without realizing it, she says. Gottman found that when loved ones feel constantly repelled by us, it builds resentment over time, Ury says. When your partner feels this way, she may lash out over seemingly trivial things — like dirty dishes you left in the sink, says Ury. What do subtle bids look like? Your husband asks “How was your day?” He could be making small talk, or he could be trying to get you to ask him about his own day. Your girlfriend touches your knee. It could be a simple gesture of affection, or she could be telling you she wants intimacy. Your boyfriend sighs. He might be tired, or he could be trying to tell you he’s upset. Your wife tells you a joke — she could be in a humorous mood, or she could be trying to connect with you. Ury says she now makes a conscious effort to spot and turn toward Scott’s bids. “We’re happier than we’ve ever been, and it’s about these daily, small micro moments in how we treat each other,” Ury says. Always try to turn towards your partner’s bids. Remember that even the smallest gestures can be major yearnings for attention. Greet your partner with intention in a way that shows them you care. When you are with your partner, put your phone down and spend quality time with them. Pay attention to what’s happening in your partner’s life and follow up with them about it daily.